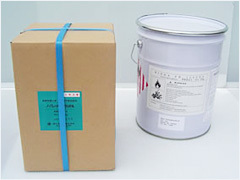 These products contain high quantities of elemental phosphorus, which is an effective fire retardant, with lower toxicity than the many other fire retardants, such as halogen and metal hydroxide based fire retardants. Adding even a small amount of this product results in a high level of fire resistance. Red phosphorus is classified as a Category II hazardous material under the Fire Service Act, but our red phosphorus fire retardants are produced by applying an original surface treatment process to red phosphorus, so that our products oxidize less easily than normal red phosphorus, which results in excellent safety and stability. 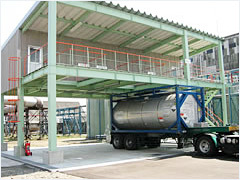 Rin Kagaku Kogyo is a chemical manufacturer, and is one of the companies in the Tosoh Group. 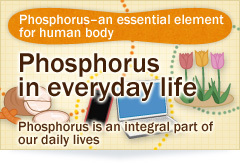 As a pioneer in the production of phosphorus products, we are now expanding our business centered on the production of safe, high-quality phosphorus products. Copyright(C)2005-2012. RIN KAGAKU KOGYO Co.,Ltd. All rights reserved.